The twice Grammy-winning Lewis Black is the perfect demonstration of that rare comic, who can cause you to laugh while making compelling points about the absurdity of the world around you. Famed for his angry persona on both stage and cable, including The Daily Show as a special, albeit enraged special guest. Hi frequent trademarks include comedic yelling and animated finger-pointing as he skewers everything and anybody that grinds his gears. His work as an actor includes Once in a Lifetime, Camino Real, The Matchmaker and Dead End. Black also established the Bill Foeller Fellowship for emerging young directors at the Williamstown Theatre Festival. In 2001, he won the Best Male Stand-Up at the American Comedy Awards. He has also produced six comedy CD albums, including the 2007 Grammy-Award winning The Carnegie Hall Performance. 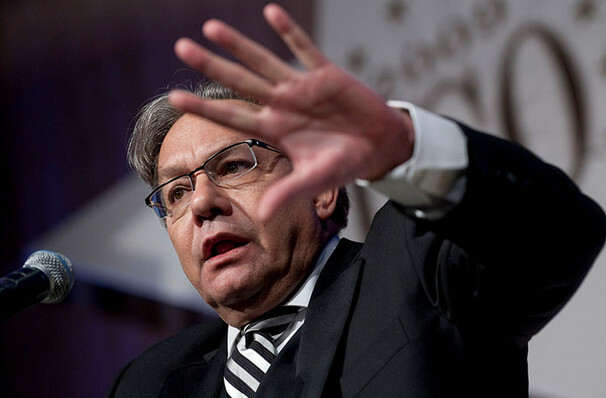 Lewis Black won his second Grammy Award with his most recent CD Stark Raving Black for best comedy album. Lewis has also written two best-selling books, Nothing Sacred and Me of Little Faith and his latest is, I'm Dreaming of a Black Christmas. Sound good to you? 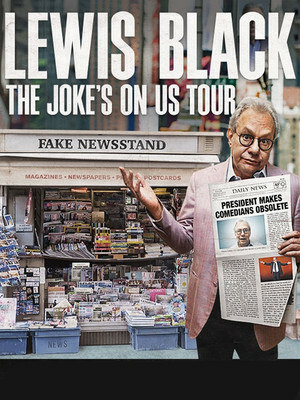 Share this page on social media and let your friends know about Lewis Black at Count Basie Theatre. Please note: The term Count Basie Theatre and/or Lewis Black as well as all associated graphics, logos, and/or other trademarks, tradenames or copyrights are the property of the Count Basie Theatre and/or Lewis Black and are used herein for factual descriptive purposes only. We are in no way associated with or authorized by the Count Basie Theatre and/or Lewis Black and neither that entity nor any of its affiliates have licensed or endorsed us to sell tickets, goods and or services in conjunction with their events.